Home > Blog > Scott Bader colleagues run for The Brain Tumour Charity and raise nearly £7000! Scott Bader colleagues run for The Brain Tumour Charity and raise nearly £7000! Last year 28 Scott Bader colleagues came together to form the ‘Mind Over Miles’ running team to take part in the Simply Health Birmingham Half Marathon and raise vital funds and awareness for the Brain Tumour Charity. 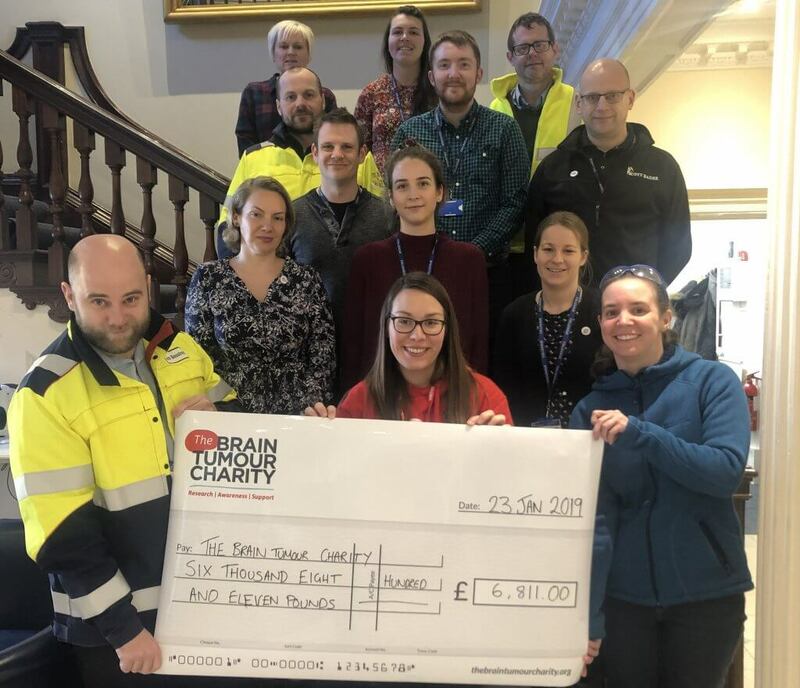 The team have since collected £3405 which with matched funding from Scott Bader meant that last week they were able to finally present The Brain Tumour Charity with a BIG cheque – literally – for £6,811.00! Motivated by their achievement, The Scott Bader ‘Mind Over Miles’ team are currently busy planning their next running challenge for 2019!